(VEN) - Vietnam attracted US$4.026 billion worth of new and supplementary foreign direct investment (FDI) capital in the first quarter of this year, a 119.1 percent increase from a year ago. The robust growth of foreign capital flows in the early months of the year opened up hopes of significant FDI inflows. According to the Ministry of Planning and Investment’s Foreign Investment Department, the country attracted 473 new FDI projects with total registered capital of US$2.74 billion in the first quarter of this year, a 125.2 percent increase from the same time last year. In addition, 203 on-going projects registered US$1.285 billion worth of supplementary capital, a 107 percent increase from a year ago. Including both new and supplementary FDI capital, the country attracted US$4.026 billion in the first quarter, a 119.1 percent increase on a year ago. On the sidelines of a workshop held at the end of this March, Foreign Investment Department Head Do Nhat Hoang said that the growth was the result of notable improvements in the investment environment, the enforcement of the amended investmentand enterprise laws, stable macro-economic policies and faster economic growth. 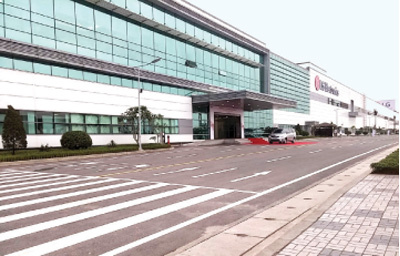 Vietnam’s strong integration with the global economy via major free trade agreements (FTAs) such as the Korea-Vietnam FTA, the Trans Pacific Partnership, the EU-Vietnam FTA, and the FTA between the Eurasian Economic Union and Vietnam has also contributed to the rapidly increased FDI in the first quarter of the year. However, Do Nhat Hoang underlined that the strong increase in FDI in the first quarter was largely due to long preparations and efforts by Vietnamese authorities and investors. For this reason, the robust growth in FDI was not surprising and was within the Ministry of Planning and Investment’s forecasts. Domestic and foreign economists spoke highly of the Vietnamese investment environment. Vietnam attracted investment from 40 countries and territories in the first quarter. Foreign investors invested in 19 of all 21 sectors in 42 of all 63 centrally-controlled provinces and cities. The FDI sector also achieved high growth in terms of exports which reached US$27.042 billion, a 5.8 percent increase from a year ago, accounting for 71.3 percent of total export earnings. 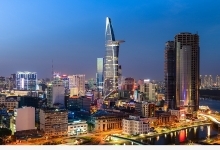 According to the Vietnam Chamber of Commerce and Industry’s Provincial Competition Index Report 2015 which surveyed 1,584 FDI enterprises in Vietnam, foreign investors continued to give positive feedback on the Vietnamese business environment in comparison with other countries. However, foreign investors also expressed their concern over bribes, red tape, and the quality of infrastructure and public services. Vietnam Chamber of Commerce and Industry Chairman Vu Tien Loc said that to increase FDI attraction, Vietnam needs to continue improving the investment environment by increasing transparency and improving vocational training. Deputy Minister of Planning and Investment Nguyen Chi Dung said that other countries in the region and globally are also deeply and widely integrating into the global economy and are fiercely competing with Vietnam in terms of FDI attraction. For this reason, further improving the business environment is the key to attracting large-sized and high-quality FDI projects in the near future. According to the Ministry of Planning and Investment, the FDI sector disbursed US$3.5 billion in the first quarter of this year, a 14.8 percent increase from a year ago.